Last year, I took the opportunity to write a chapel program that I called "Let's Learn About Dads in the Bible." I soon wrote a Bible song about dads in the Bible that would creatively share about six famous men in God's Word - Adam, Noah, Abraham, Isaac, Jacob and David. Being a dad is one of the greatest gifts God gives to a man and being a dad takes a lot of hard work and love. I believe every dad from the beginning of time has faced many of the same issues of fatherhood as all of us. They have learned how to love and guide their children carefully throughout the journey of life. But the greatest of all dads will teach their children about the greatest of all fathers - God the Father. My Bible song about dads in the Bible showcases six men who were faithful to share the love of God with their children. None of them were perfect, but each chose to follow the One and True God. Click HERE for Adam and his sons. Click HERE for Noah and his sons. 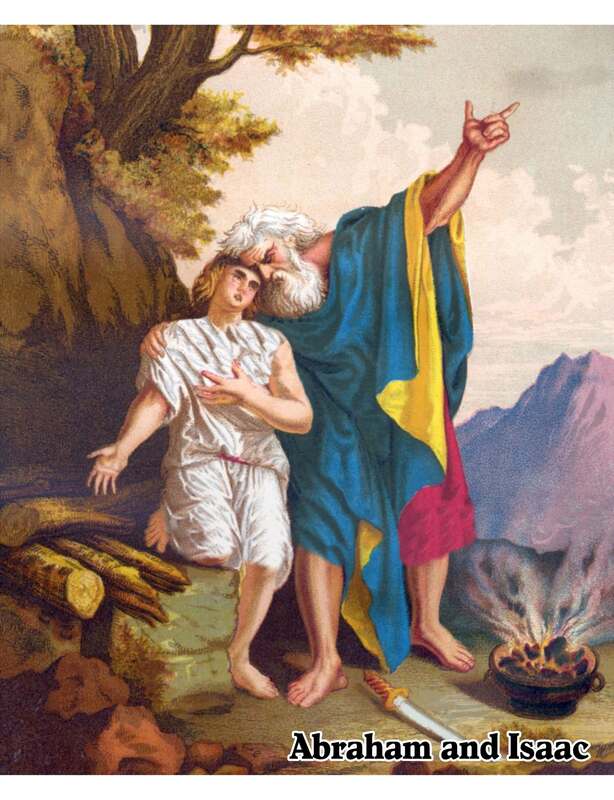 Click HERE for Abraham and Isaac. Click HERE for Isaac and Jacob. 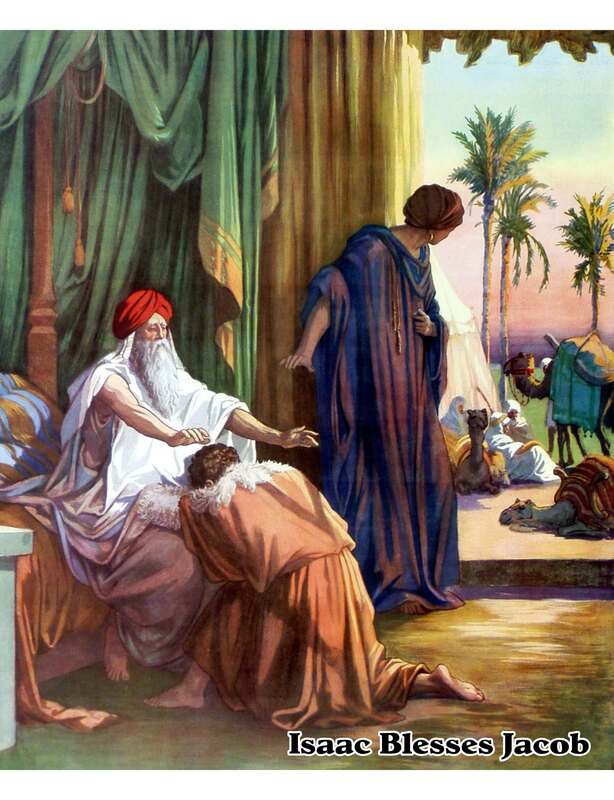 Click HERE for Jacob with Joseph and his grandsons. 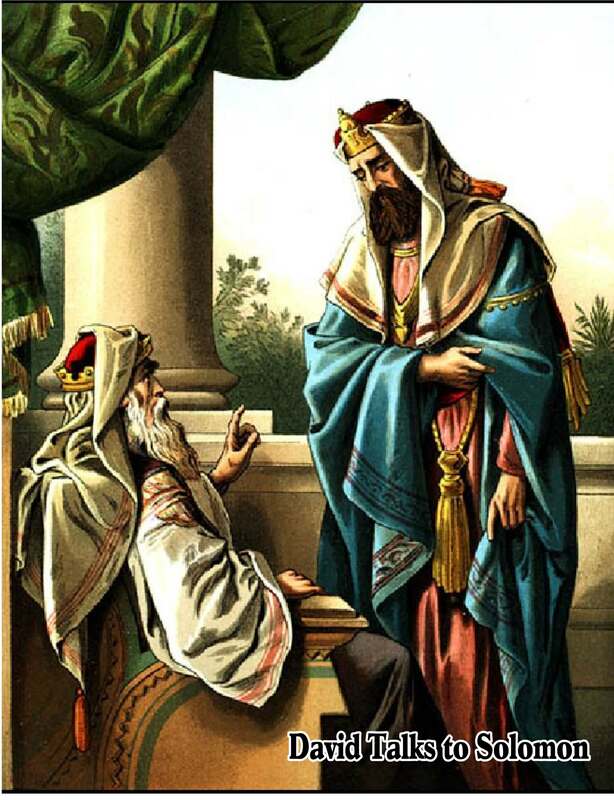 Click HERE for David and Solomon. There are many great dads in the Bible. Let's take some time to learn a few. God has a plan for every dad, just like He has great plans for you. OK. Let's learn about some of the dads in the Bible. I will sing about a dad and show you a picture of that dad, then one of you will get to come forward and find the picture on my banner. Are you ready? Here we go! 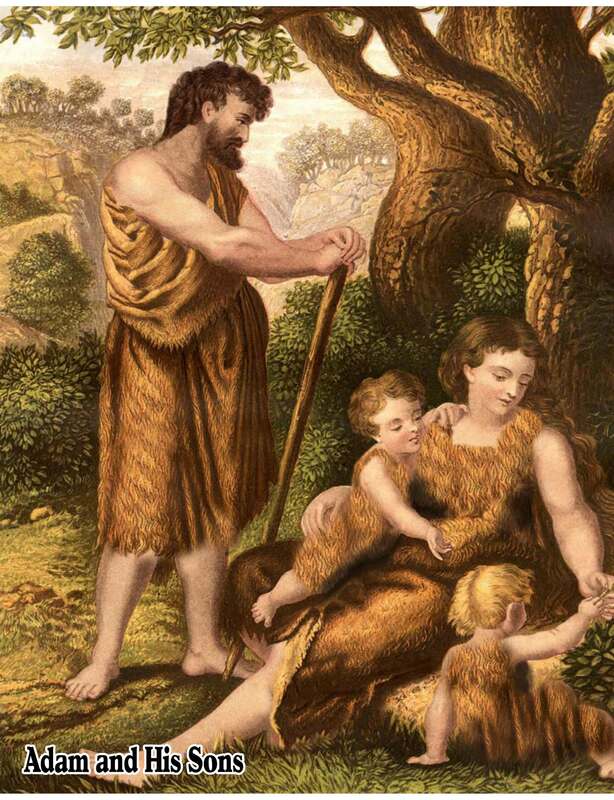 Adam was the first dad God did make. Cain and Abel were his two boys. But Cain was very jealous of Abel which took away their father's great joy. Who can find the picture of Adam? Who can find the picture of Noah? Who can find the picture of Abraham? Isaac was doubly blessed by God. He had two boys, twins! Who can find the picture of Isaac? Jacob loved Joseph very much. 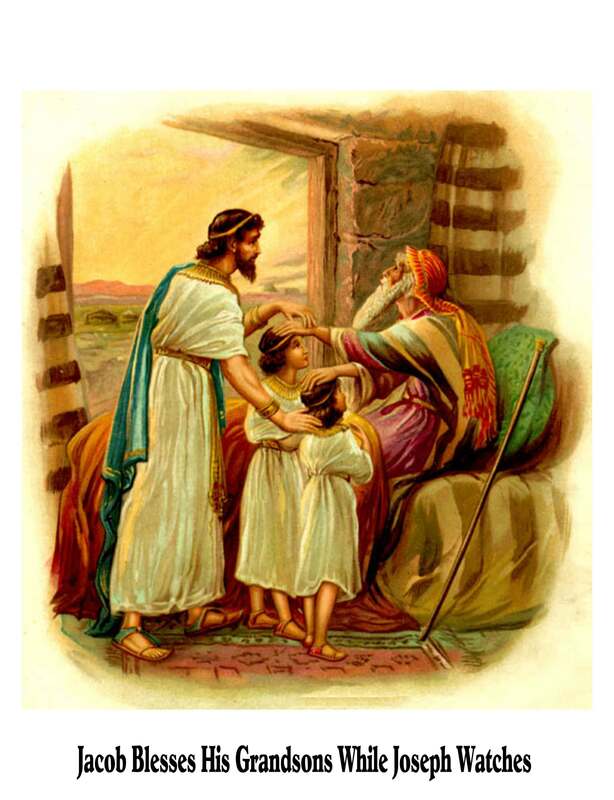 Joseph was his favorite child. Who can find the picture of Jacob? Who can find the picture of David? Looking for a fun game to help your kids learn about more dads in the Bible? Then click on the following link for a fun game called the "Bible Dads"
On Thursday, June 7, 2018, at 7pm, all are invited to attend a Special Needs Program - Let Us PRAY. Evangelical Free Church of Fullerton, CA will be showcasing their Special Needs Drama Group, "For God's Glory," made up of 25 adults with special needs. This program is directed by Kathy Vincent, The Scripture Lady. For those of you who don't know, in addition to being "The Scripture Lady," I also have the privilege of directing a drama group at my church called "For God's Glory." This drama group is part of our large special needs program directed by Connie Hutchinson at the Evangelical Free Church of Fullerton, CA. Our special needs program is one of the largest ministries in Southern CA. We minister to both children and adults and their families who are part of the special needs community. Our students are amazing and it is such an honor to be able to showcase their talents during our multi-media programs. This year's spring program is called, "Let Us PRAY!" Our students will creatively present these 4 ways to pray through music, drama, puppetry and video vignettes. It is my prayer that our community learns to recognize and applaud the great value our students bring to all those around them. They are shining examples of how God can be glorified through their abilities and disabilities. Whether they have Down Syndrome or are autistic or deal with other special needs issues, they are greatly loved by God and God has great plans for them. If you or your church is interested in learning how to better minister to this great group of people and maybe starting your own special needs program, please come to our presentation of "Let Us PRAY!" I think you will be inspired and encouraged by these great men and women of God. For more information, please email me, Kathy Vincent, at thescripturelady@gmail.com. Click HERE to learn more about my workshops for Special Needs Ministries. I am so excited to announce that my ministry, The Scripture Lady, has reached 10K subscribers to my free online newsletter! I am so grateful for each one who supports my ministry by subscribing to my free Email Kid Tips. Sure! There are lots of great ministries out there who have a LOT more subscribers than I have, but 10K subscribers is nothing to sneeze at! To say, "Thank You" to all of you who open my emails, I am allowing free access to my "Fruit of the Spirit" song. This is the song that God used to propel me into my ministry. It is very special to me and you are very special to me too! My free online newsletters are a way to share my creative ideas for sharing the Bible with children. I love writing my emails and seeing my 10K subscribers open them up and click on the different links that will lead them to some fun ideas for their classrooms. The ideas that I share are for Christian teachers and parents who have a desire to see their children grow in their relationship with God and His Word. Each newsletter presents creative ways to share the Bible for both the preschool and elementary child. I also like to provide a resource that you can purchase for your homes or classrooms. I try to make my newsletters fun, colorful and creative. They are meant to inspire and encourage you in your own ministries to children. So, if you know of someone who could benefit from my fun Email Kid Tips, share this blog post with them and then I will be well on my way to 20K subscribers! ﻿If you want more Bible songs for children, then sign up to receive Scripture Lady's Free Email Kid Tips packed full with creative ideas and receive 6 FREE Bible Songs and 6 FREE Bible games as downloadable resources to help get the kids you minister to excited about the Bible! Are your children growing in the knowledge of God and who He is? Do they know He is the triune God - the Father, the Son and the Holy Spirit? Here is a fun Bible activity to play with your kids to help them learn about some basic characteristics of the Trinity. I am getting ready to debut my newest program called, “God’s Beautiful Garden.” In this program, I will be introducing a fun Bible game about growing in the knowledge of God. It’s important that our children know that God is a triune God made up of the Father, the Son and the Holy Spirit. This Bible activity will help them learn about three different characteristics for each Person of the trinity. For this Bible game you will need to create 3 large “seed” packets. You can use 3 large mailing envelopes and add pretty flowers to the front of them. Try to make each “seed packet” look different. You should also add the title of “GOD” on the front of each one. For God the Holy Spirit - a picture of a dove, a picture of some fruit, a picture of a road divided, which will signify how the Holy Spirit leads us and guides us. You will also want to gather or create some pictures that represent each Person of the trinity. For God the Father, I often use a picture of a bright and beautiful cloud. For Jesus, I just use a nice picture of Him as a man. For the Holy Spirit, I usually use a picture of a dove. Place one set of pictures in each of the “seed packets.” Place the pictures that represent God in His 3 forms nearby on a table or on a pocket chart for all the children to see. Raise your hand if you’ve ever planted some seeds to make some flowers grow. (Wait for responses.) It’s fun to work in a garden. It’s fun to get your hands dirty and to dig a hole for your seeds to fall into. And it’s fun to water the ground knowing that in just a few days or so, you will get to see your flowers grow. Watching things grow in a garden is fun. But flowers aren’t the only things that grow. Did you know that you are growing? I am sure your families love watching you grow. Your moms and dads and grandmas and grandpas are watching you grow taller and smarter. I love watching you grow in God. Growing in your knowledge of God is very important. But how do you grow in God? Well….you’ve got to plant some seeds! “What kinds of seeds?” you may ask. The seeds of God’s Word, the Bible. Each time you read the Bible, you get the opportunity to grow in your knowledge of God and who He is. This is what we are going to do today. I have here 3 “seed packets.” Inside each of these “seed packets” are pictures to help us learn more about who God is. I’ve gathered these pictures from truths that I’ve learned about in the Bible. I would like someone to come up and pick one of our seed packets and pull out a “seed” or picture to help us discover which Person of the trinity we can grow in our knowledge about. At this point, you will have a child pick a “seed packet” and let them take out a picture. Let the class guess who in the trinity the picture refers to. Take time to expound on each of the pictures and their meanings, but don’t linger too long on each picture. You want to keep the momentum of the activity moving forward and have it be a fun experience for all. That’s it! this will definitely be a fun way for your children to grow in their knowledge of God. 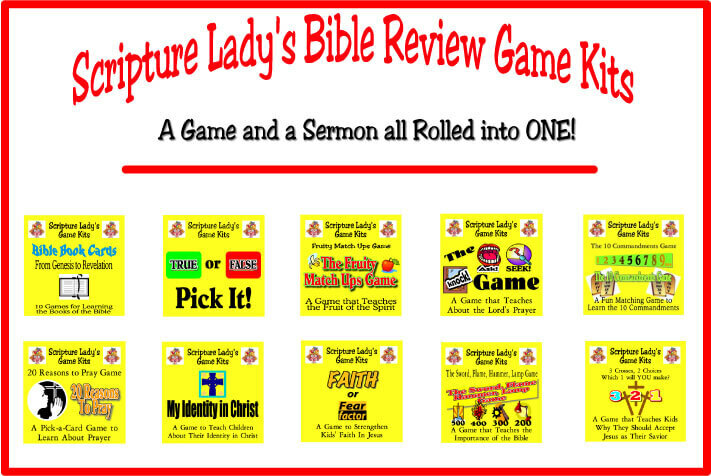 Click HERE to learn another fun Bible game about growing in God! It's called "GROW Circles." Try this fun Bible memory verse activity with balloons to add lots of excitement when memorizing the Bible. "Keep it Up!" is a simple activity that only requires a Bible verse and one or more balloons. Your kids will love it! When you add God's Word to a fun Bible memory verse activity with balloons, you have a winning combination. "Keep it Up!" will motivate your kids to learn their Bible verse with gusto. Here's what you need to prepare to play "Keep it Up! - A fun Bible memory verse activity with balloons: First, you will need to choose a Bible verse you want your children to learn. Maybe it's one that goes along with a Bible story that you have been teaching or maybe it's one that you get from your curriculum. Second, make word cards for each word in the Bible verse. Then place these cards in order and face down on a pocket chart or on a table for all the kids to see. Click HERE for an example of how I made word cards for John 3:16. If you are interested, I include word cards for all my Bible song verses as part of one of my best-selling products called "The Scripture Lady's 75 Downloadable Bible Verse Songs Package." It's only $9.95. Click HERE to learn more. Third, blow up a few balloons to have ready for the game. I like to use the 12" to 18" size. Finally, be ready to keep points on a board or a piece of paper. You are ready to play! Here's how to play "Keep it Up! - A fun Bible memory verse activity with balloons: First, go over the Bible verse several times to help the kids grow in their confidence of having it memorized. Putting a Bible verse to music is a great way for kids to quickly memorize a scripture. Next, pick a child to play the game. You can separate your group into 2 teams if you'd like or let them gain points separately. Throw the balloon high up in the air. The child must keep the balloon up in the air with any part of his body EXCEPT his hands. You need to keep track of how many times the child makes contact with the balloon before it falls to the ground. Let's say the child kept the balloon up in the air with 4 touches. The child would then get to turn over 4 Bible verse word cards to help him say the verse correctly. If the child says the verse correctly, he then gets to keep the balloon up again, just like before. But this time, he is trying to make as many touches to gain points before it falls to the ground. He earns 100 points per touch. That's it! Fun and easy! Click HERE for more Bible memory verse activities. According to 1 Timothy 4:12, as Christian parents and teachers, we are called to be an example to children in what we say, in how we live, in how we love, in our faith and in our purity. I hope this article will encourage you in each of these areas as you live out your God-given calling. I want to share with you today how 1 Timothy 4:12 can motivate you to be an example to children as you teach them the Bible. This verse is not specifically written to Christian parents and teachers, but to all Christians in every walk of life. But since my audience mainly consists of Sunday School teachers, Christian teachers and parents who have a desire to see their children grow in their relationship with God, I want to examine this verse from a Christian teacher's perspective. 1 Timothy 4:12 says this: "Don't let anyone think less of you because you are young. Be an example to all believers in what you say, in they way you live, in your love, your faith, and your purity." I've been reading through 1 Timothy lately and I have been greatly encouraged by the words of Paul to his young protege, Timothy. Paul is often nurturing Timothy to be an example to all the believers even though he is still quite young. I love the 5 points that Paul addresses and I want to address these as well for the benefit of those of us who work with children. I want to present a few thoughts of my own that will hopefully encourage us all to be an example to children especially when teaching the Bible. We all know that our words are very powerful. The word of God is the most powerful of all. (Hebrews 4:12) Paul often warns those who teach and share God's word about the importance of rightly teaching God's word. 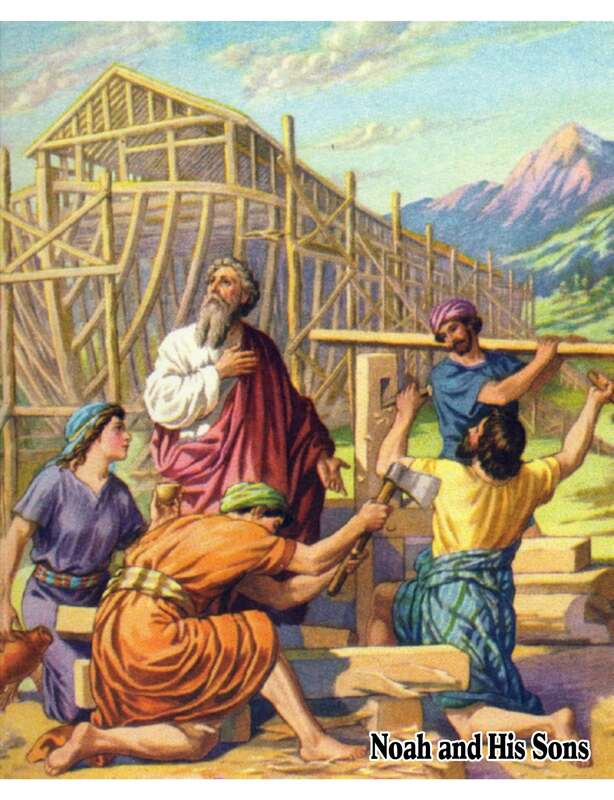 Jesus, Himself, stated that we should not put any stumbling block before anyone, especially children. Matthew 18:6 says: "If anyone causes one of these little ones—those who believe in me—to stumble, it would be better for them to have a large millstone hung around their neck and to be drowned in the depths of the sea." As Christian teachers of the Bible, I encourage you to diligently study the stories and scriptures that you will share with your children. Be ready and careful with what you are going to say. If you are not sure about a point of a verse, study it or ask for help from someone you trust. What you say to the children from God's Word matters. Take it seriously. As a Christian teacher, does your "walk match your talk?" Kids are smart and many of them are watching your every move. If you are teaching them about Jesus, are your every day choices honoring Jesus? Are you showing your kids that YOU love the Bible? Or are you just telling THEM to love the Bible, without being and example? Are you spending time with Jesus in prayer so that your children know that you care about your relationship with the One and True Living God? Living out your Christian faith is a moment by moment journey - a journey that God, the Holy Spirit, wants to guide you through every day. Of course, all the points I am addressing today could have books written about them. The topic of "how we love" is in thousands of books. So, what little tidbit can I share regarding this topic to the Christian teacher? I want to share this: I get lots of hugs after my programs. One of the best parts of my job as The Scripture Lady is receiving hugs from kids after one of my performances. If I may be so bold, I think (and hope and pray) I get these affectionate squeezes because I am showing the love of God to the children. I want to be an authentic Christian in front of the children I serve. Yes, I am performing, but I believe that kids get to see a glimpse of Jesus through me when I am sharing a song or a story from the Bible. I hope and pray that the children see my genuine love that I have for God and for them. You, too, will experience this outpouring of love from kids when you consistently show a genuine love for Jesus and the children He's given you to minister to. Remember, true love ONLY comes from God. As you connect with God, He will pour out His love through you to others. 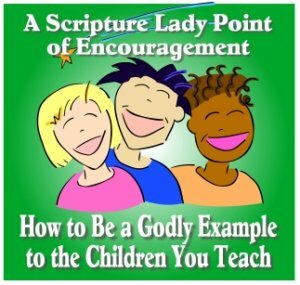 Point Four - Be an example to children in your faith. As a Christian teacher, who do you put your faith in? Here's a similar question: Who do you put your trust in? It is an awesome honor to be an example to our children of where we put our faith. Life is difficult and kids are not immune to the hardships of life. Whether in your homes or classrooms, you get to walk through this life showing your kids that you are choosing to have faith in God and to trust in Jesus and the Holy Spirit to get you through all the ups and downs. I think we do a disservice to our children when we shield them from difficult situations. Of course, we need to be sensitive and appropriately share the circumstances. But your kids need to see you living out your faith and trust in Jesus. You are not perfect. Sometimes you are going to be afraid and even freak out at life's mishaps. But don't be afraid to let your kids watch you struggle in your faith. You might be surprised. God might use your children to encourage you in your faith and give you the hug that you desperately need at the moment. Try giving these Bible verse search puzzles the next time you want your kids to hunt for the treasure of God’s Word. All you need is a Bible, a dictionary and some paper. You will need to do a little prep work and then send your kids on their scripture hunts. I LOVE puzzles! Jigsaw puzzles, logic puzzles and word search puzzles are my favorites. A lot of kids love puzzles too. Here is a fun way to create your own Bible verse search puzzles to help them hide God’s Word in their hearts and minds. This idea was inspired by a game I saw in a kids’ book of games called 501 TV-Free Activities for Kids by Di Hodges. I thought it was really creative and could easily be adapted to creating your own Bible verse search puzzles. Choose a Bible verse that you would like your kids to learn, such as John 3:16, which says: For God so loved the world that He gave His one and only Son that whoever believes in Him will not perish, but have eternal life. 2. Continue to do this for each word in the verse. 3. Do not do this for the reference of the verse, i.e. : John 3:16. In fact, leave the reference off. "Forage Godartia soak love-apple Thea worldliness thatch head gavel hispid one-horse andante onamancy sonance..."
1. Make sure the child uses the same dictionary you used. Not all dictionaries are the same. 2. Reward you child with a fun treat for his hard work. 3. Have your child make up their own Bible verse search puzzles for others in your family or classroom to solve. Click HERE for more ways to have fun with the Bible with your kids! In order to teach the Bible to children, Sunday School teachers need a relationship with Jesus and the Bible that is vibrant. Here are 3 questions to ask yourself to help you grow in these relationships and be strengthened in your God-given calling to do your very best for the children that He has strategically placed within your care. To be effective in your ministries, your Sunday School teachers need a relationship with Jesus and the Bible so that the love and truths of God are passed onto the next generation. Doling out encouragement for Sunday School teachers and Christian parents and teachers is one of the biggest parts of my ministry. Yes, most of the time I am standing in front of hundreds of children every month. But the other side of my ministry allows me to stand in front of Sunday School teachers, Christian preschool and elementary teachers and parents. To this latter group I get to share my teacher training workshops in which I share MANY creative ways to help them get their kids excited about the Bible. One of the most important truths that I can share in my workshops is that Sunday School teachers need a relationship with Jesus and the Bible that is vibrant and that motivates them to step into their classrooms each week. This need for a vibrant relationship with Jesus is international. Christian teachers all over the globe are trying to motivate their Sunday School workers and families to teach the Bible to their children with excitement and passion. Take for instance, Marianne. Marianne is one of my new subscribers who happened upon my site by "accident." Marianne shared with me that she worked with children for 30 years in Brazil. She was used to working with large groups of children. Now Marianne is working in the northern part of Germany in the former socialist part of the country. Normally, she will only have 4 to 10 children come to Sunday School. Her main task is to train and motivate people to work with children. Marianne says, "It takes a lot of motivation to get people excited about working with children." Why is this? Why is it difficult to motivate people to share the good news of Jesus Christ to our children? - I think the answer to these questions lies in the truth that Christian teachers, parents and Sunday School teachers need a relationship with Jesus and the Bible that is filled with passion. Here are 3 questions I encourage you to ask yourself regarding your relationship with Jesus and His Word, the Bible to help you grow as a teacher of His Word. How can I grow in God's Word, the Bible? - If teaching the Bible to children is what you have been called to do, then you must be a student of the Bible yourself. If you went to college, you expected your professor to know more than you did about the topic you were studying. You didn't expect him to know everything about the topic, but he had to be, at the very least, several "steps" ahead of you. The same truth applies to you as a Sunday School teacher or a parent of a child whom you want to teach the Bible to. Do you want to know how I look at the Bible? I look at it as a treasure box. When you open a treasure box it is filled with all sorts of valuable jewelry and money and things you have never seen before. You can't help but reach in and pull out one of the valuable baubles and examine it. You have no idea, yet, that the particular ring or gold coin you picked up is connected to another piece of jewelry. At this point, you are just admiring it and all the other pieces in the treasury. Then as you dig deeper and deeper, you begin to learn of the greatness of the treasure that is before you. Your excitement grows and grows at the riches that lay before you and you can't help but share it with those around you. I believe this kind of excitement needs to be a part of every Christian who is teaching God's amazing Word. And the only way to get this excitement is to reach into the treasure that the Bible is and ask God to give you understanding. God says this in Jeremiah 33:3: "Call to me and I will answer you and I will tell you great and unsearchable things you do not know." God is your Professor and He DOES know everything. Take His class and you won't be disappointed. Click HERE for more encouraging words about why Sunday School teachers need a relationship with Jesus and the Bible that is vibrant.